Last summer, after our house finally sold, I posted a list of our financial priorities now that we no longer had to deal with the financial obligation of owning a home. I kind of forgot about that post and when I ran across it recently, I was pleasantly surprised to see that we had made progress in most of the priorities that I listed back in July. Eight months have passed since the closing of our home and while we are not rolling in the dough, we have turned a corner of sorts. Balance transfer money is in reality, a credit card cash advance, but there are various ways to access the money as a balance transfer. The key point is that cash advances have very unfavorable terms (fees, interest) while balance transfers often come with favorable terms. 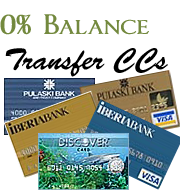 Our balance transfers usually came from new credit card applications – 0% introductory rates and low fees. As long as you stay current with payments and completely pay off the balance before interest starts to accrue, the net effect is a really low cost loan. In 2006 and 2007, the Stew family had almost $100,000 in balance transfer money. You should have seen those spreadsheets . . . Anyway, balance transfers came in handy when we were trying to stay current on our mortgage while renting in another state. When we finally sold the house, we still had about $15,000 in balance transfer money remaining. Our first priority was to pay off this money as soon as possible. As of March, we only have $2,500 worth of balance transfer money remaining and that is interest free until the end of the year. I hope to have all of it gone by then. We are working on this one. 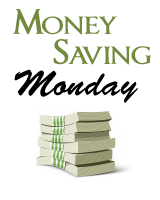 My goal is to have three months income saved before starting to contribute to retirement. We have about one month’s budget saved right now – not great, but better than where we were. My goal was for Mrs. Stew and I to max out our employee matching opportunities at work. Mrs. Stew ended up not taking the job and we are tighter financially than we expected to be this school year. I am still not contributing to retirement on a regular basis. I actually kind of pushed this one up a notch and looking back, maybe debt reduction should have been Priority #3 instead of #4. We are paying extra toward the principle on our car loan every month. Some would say that retirement is the higher priority, but I am really motivated to get our car paid off before it is no longer useful. Debt still occupies a great deal of our budget every month. The sooner that we no longer have to make those payments, the sooner we can start saving in earnest for retirement, or – since I plan to work the rest of my life – for a rainy day. Nice job on the emergency fund. It think it wasn’t until I had about 3 months that I started to sleep a little better at night. It’s crazy how a little fund can make you breathe so much easier. Keep up the good work. So in 8 months you paid off $12,500 on your 0% balance transfer? Getting that paid off should give you a good chunk of change to put towards retirement. Good job!